It must be remembered that wood is a natural product and subject to movement and changes over time. Our log cabins are manufactured, delivered and, where appropriate, constructed with care. We check our buildings as they are made, loaded, delivered and, where applicable, built to make sure there are no missing or damaged parts. 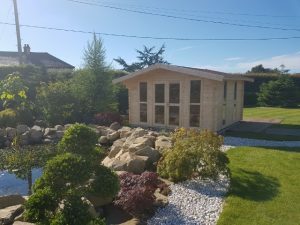 We do our best to ensure that our log cabins are as they should be from the start and so we do not find it necessary to offer a formal guarantee.